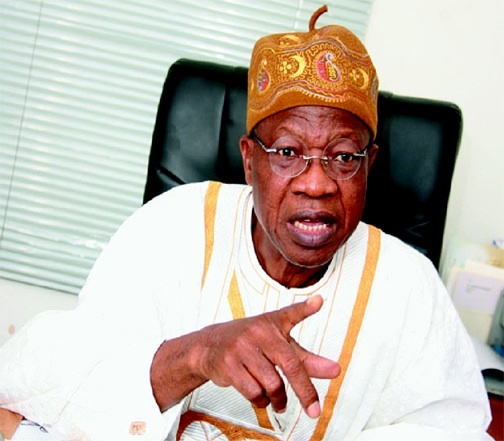 The Minister of Information and Culture, Alhaji Lai Mohammed, says his mission as new All Progressives Congress leader in Kwara is not to contest any elective position in 2019 but to rescue the state from hawks. Mohammed said: "What an auspicious time for all of us! Never before, have we had a great opportunity like we have now to take our state back from the rapacious few, who have held the state by the jugular and prevented it from meeting the hopes and aspirations of its people. �From my consultations with key stakeholders so far, I can say, categorically, that Kwarans have all resolved to take their destiny into their own hands and take back what rightly belongs to them. "This is unprecedented in the history of our state, and we must not waste this opportunity. "On my own part, I can say here, without equivocating, that I won�t be running for any office during the forthcoming elections. "For me, it is not about any clamour for office. It is about working with all like minds for the greater benefit of our people." He said: "I can tell you that if we all remain united, we can't and we won�t lose the looming battle for the survival of our dear state. "All that is required is for us all to subordinate our individual ambitions to the collective efforts to wrest our state from the hegemony of one man and his cohorts." The minister called the attention of the people to the fact that the battle ahead would be tough because "one with power will ever give it up easily". Mohammed, however, encouraged them that "the power of the people supersedes all powers" and the mission to rescue Kwara from grinding poverty and make it a better place for all, is achievable. He said: "The fightback has already begun, in the form of blackmail and fake news. "They say I do not like Ilorin people. But what they do not know is that no amount of cheap blackmail will deter us. "The people of Ilorin should know who their friends are. I do not hate the good people of Ilorin." To justify his claim, the minister recalled that in 2011, he supported, on his platform, an indigene of Ilorin to run for the governorship of the state. Mohammed said: "Even when my kinsmen were not happy with my decision, I was undeterred. "Even when the PDP sponsored someone from my own constituency, I insisted on the Ilorin candidate as a matter of principle, upon the conviction that that was what we needed to do at the time to effect the necessary change." Mohammed also recalled that as a minister, he was instrumental to the appointment of an Ilorin man, Modibbo Kawu as the Director-General of the National Broadcasting Commission. He said: "In a related development, when Prof. Raheem Oba, an Ilorin man, sought a second term at the Federal Character Commission, we know those who worked against him. "They will do this and many more acts of blackmail to divide us, to driver a wedge between us. Don�t let us succumb to their antics." He said: "Never again will our people be turned to panhandlers, never again will our people be made to eat crumbs from the master's table. "We must become the masters of our own destiny." Earlier, Alhaji Ayodele Shittu, the convener of the meeting and a former Deputy Speaker of the state House of Assembly said the people of Kwara were tired of the Saraki's political leadership and yearning for change. The News Agency of Nigeria reports the meeting was attended by: Akogun Iyiola Oyedepo, the state's APC Caretaker Chairman; Bashir Bolarinwa, Labour Party Chairman; Mumuni Onagu, former Nigerian Bar Association Chairman in the state; Salman Jawando, among others.